In 83% of cases, the test was even able to narrow down where the cancer was anatomically located. A NEW BLOOD test for cancer has shown promise toward detecting eight different kinds of tumours before they have spread elsewhere in the body, offering hope of early detection, researchers have said. Further study is needed before the test, called CancerSEEK, can be made widely available for its projected cost of about €410, said the report in the journal Science. The study, led by researchers at Johns Hopkins University, involved 1,005 patients whose cancer, already pre-diagnosed based on their symptoms, was detected with an accuracy rate of about 70% overall. For five of these cancer types -ovary, liver, stomach, pancreas and esophagus – there are no screening tests available for people of average risk. The test was able to detect these five with a sensitivity range of 69% to 98% . “The ultimate goal of CancerSEEK is to detect cancer even earlier, before the disease is symptomatic,” said the report. “This looks promising but with several caveats and a significant amount of further research is needed before we can even contemplate how this might play out in screening settings,” said Mangesh Thorat, deputy director of the Barts Clinical Trials Unit at Queen Mary University of London. Nicholas Turner, professor of molecular oncology at The Institute of Cancer Research, London, pointed out that the test’s one percent false positive rate may sound low but “could be quite a concern for population screening. There could be a lot of people who are told they have cancer, who may not have it”. However, Turner described the paper as “a step along the way to a possible blood test to screen for cancer, and the data presented is convincing from a technical perspective on the blood test”. Many other efforts are underway to develop blood tests for cancer. “I do not think that this new test has really moved the field of early detection very far forward,” said Paul Pharoah, professor of cancer epidemiology at the University of Cambridge. Email “Researchers say new blood test for cancer could catch disease before it spreads”. 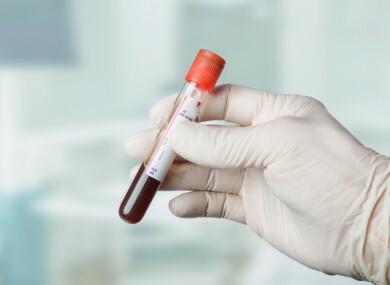 Feedback on “Researchers say new blood test for cancer could catch disease before it spreads”.